Our new favorite #digs rest in the quirky Catskills town of Callicoon, NY. 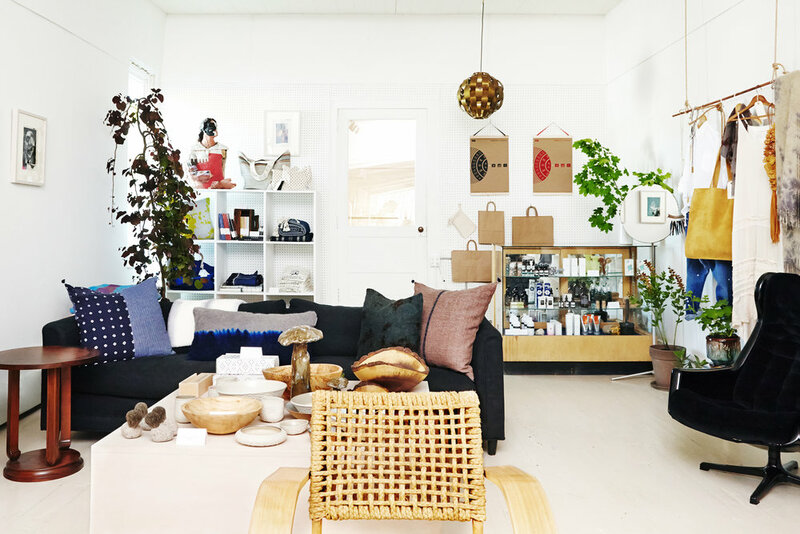 After reading about the space in Vogue, we made sure to stop through while on a recent summer road trip and fell in love with Sunny's Callicoon Pop- an impeccable trove of artful findings and rarities tucked deep in the rolling hills where an enchanting river hugs its little town. We've had serious admiration for proprietor Sunrise Ruffalo ever since her influential Kaviar and Kind shop in Los Angeles pioneered cool, fine jewelry and experiential shopping in the early 2000's. We've adored her unmatched personal style and when we heard she uprooted her family from the busy city-life to the offbeat town of Callicoon- we had to visit. The SCP team shows us around below! Sunny’s Callicoon Pop includes an eclectic range of antiques from 19th century East Lake to 1970’s modern design, unique homewares, and a thoughtful selection of keepsakes as special as the Callicoon land. Visiting is an experience as warm as Sunny's smile and as fun as a relaxing day in the country. Finding something here is about being a part of your community, caring for our environment by supporting craftsmen near and far, and choosing upcycled treasures that hold years of stories. Sunny’s Callicoon Pop welcomes you this Summer of 2017. Sunrise is thrilled to launch the next chapter of an artistic journey. With a focus on sustainability, upcycling, and reflection of current creatives, she yearns to build, in a sense, community cohesion with all who partake. Mom & Pop(Up)! : by Riley from Little Lux!